Jacksonville is the home of Jacksonville Jazz Festival, River City Marketplace, and a major deep-water civilian and military port. Enjoy the home of golf tourism, 340 miles north of Miami. We've helped many people with therapy, health and wellness in Jacksonville and elsewhere in the Sunshine State. 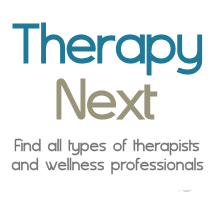 Therapists in Downtown Jacksonville, Brentwood, Fairfield, Hogans Creek, Downtown Jacksonville, Brentwood, Fairfield, Hogans Creek, LaVilla, Longbranch, Midtown, Springfield, Tallyrand, LaVilla, Longbranch, Midtown, Tallyrand. Jacksonville is the largest city by population in the state of Florida, with a 2014 estimate of over 850,000 residents. It is located on the banks of the St. John's River, about 25 miles south of the Georgia state line, and has a humid subtropical climate. During the Civil War Jacksonville was an important supply point for the Confederate Army, especially for hogs and cattle. Jacksonville, like many other U.S. cities, suffers from urban sprawl. It has the largest deepwater port in the South and continues to be a leading port for car imports and a hub for rail, air, and highway commercial activities. The Naval Air Station is the third largest fleet concentration in the U.S. and supports about 24,000 civilian and military personnel. The Department of Children and Families (DCF) is considered the major mental health authority in Jacksonville, and can be reached at (904) 485-9583. Agencies supported by the DCF include the MENTAL HEALTH RESOURCE CENTER (MHRC), MENTAL HEALTH CENTER OF JACKSONVILLE (MHCJ), and NORTHWEST BEHAVIORAL HEALTH SERVICES. The National Alliance on Mental Illness has a helpline: 904-724-7782 and suicide hotline: 800-273-TALK (8255) and assists families and children who are experiencing effects of a member having behavioral or mental health issues. In addition, The Mental Health Advocacy Project is a special program that provides legal aid for the mentally ill. People with mental illness often have difficulty gaining access to help for their mental illness or obtaining the proper treatment for their illness. The Project especially focuses on the needs of the mentally ill. Many residents struggle with anxiety, depression, substance abuse, and other mental health issues. It is estimated that approximately 21 percent of Jacksonville's residents have some kind of mental health disorder and 6 percent have a serious mental illness.